Consumers are looking for more visual content, and video marketing is a great way to quickly communicate your brand message in a variety of interesting ways. From how-to videos to the unboxing of a brand-new product, videos provide a great way to connect with your audience. Once you’ve created a great video, the challenge is figuring out how to promote your YouTube video to reach your target audience. Include keywords in your title. Not only should you research keywords to help your video rank well, you should also keep it short and to the point. It’s also a good idea to use the current year in your title and think about what kind of title will grab the attention of your target audience. Get familiar with correct YouTube tag usage. Tags on YouTube are different than hashtags or even using tags on a blog post. First, you’ll want to use a unique tag on each video that includes your brand name, and you’ll want to include your keywords from your video as tags. You should also include related keywords, which are obtainable through YouTube’s auto-suggest feature. Create a custom thumbnail. A verified YouTube account has access to custom thumbnails, which can help your video stand out in the suggested video and related video sections. Make sure your thumbnail has a resolution of 1280 X 720, with at least 640 pixels. You should upload it in .JPG, .GIF, .BMP or .PNG, and be sure to keep it under 2 MB. While this may feel a bit technically limiting, it’s important to create a thumbnail that works well on mobile and desktop devices. Invest in branding. You want to promote your YouTube video, but you also want to promote your brand within that video. Include a three-to-five second intro clip that introduces your brand, and then add an outro at the end that invites viewers to find out more about you or subscribe to your video channel. Share videos on social media. 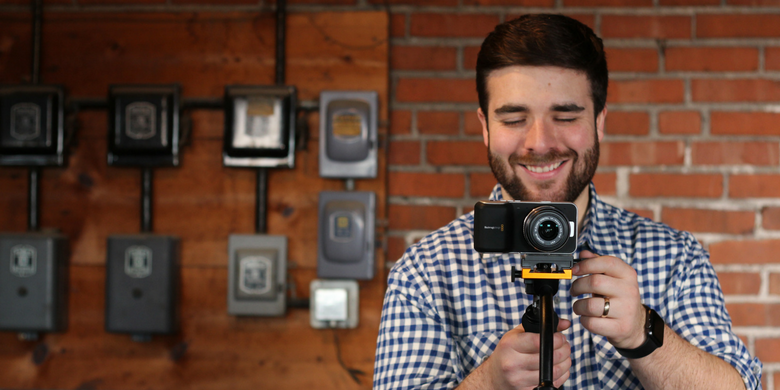 Social media just keeps getting more friendly to video marketing. Be sure to set up profiles on Facebook, Twitter, Instagram and Pinterest, and post videos regularly. Include a call to action. This is a simple step that is often overlooked, but it’s an easy way to promote your YouTube video. At the end of your video, include a segment that tells your audience what you would like them to do next. Invite them to watch a related video, subscribe to your videos or visit your website. Make sure to suggest that they like your video as part of whatever call to action you use. Did you know that YouTube is the second-largest search engine after Google? Don’t miss out on the opportunities video marketing has to offer. Contact us to get started on a promotion campaign that will get your videos noticed and help lead to measurable growth for your company.